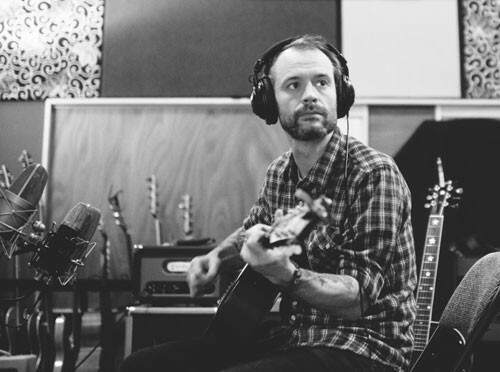 We’re looking for people to host Rocky Votolato Living Room Shows in May and June. These shows are hosted in private spaces. No stage, no sound system. Each show limited to 40-60 people. Please read details below and get in touch right away if you are in or near one of these cities and can host a show. We’ll make this as easy as possible for the hosts. All you have to do is let us borrow your living room for about 3 hours, check names off the list at the door… in return you’ll get 5 additional free tickets for friends and our eternal gratitude. – b. A few photos of your living room. – c. Please put “Rocky Votolato” and your city in the subject line. 2. Sit tight and we’ll get back to you as soon as possible if we can book the show at your house. 1. You have a house, loft, small gallery, studio or other intimate space where we can do a private show that can comfortably and safely host 40-60 people. There needs to be street parking, parking garage or public transportation nearby and your neighbors should be cool. It would be a huge bummer if someone called the cops because of all the extra cars and people coming to your house. You probably shouldn’t do this if you live in a small apartment with a bunch of uptight neighbors or a cranky landlord. Be realistic on how many people your place can hold. We need to know how many tickets we can sell in advance. Sorry, we can’t do these shows outside. 2. Ticket price will be $20. Everyone must buy tickets in advance. No tickets will be sold at the door. There will be no reselling or third-party tickets sales. All tickets sales are direct to fans from Undertow. Limit 4 tickets per person. These shows sell out quickly and we want everyone to have a fair opportunity to buy tickets. 3. We’ll provide the host with a list of everyone coming to the show. The host won’t have to deal with any money and will only need to check people off the list as they arrive. We ask guests to arrive between 7:00-7:45pm. The shows start at 8pm and we ask everyone to be out of your space by 10pm. 4. The host gets 5 additional free tickets for the show. If you have other friends beyond your 5 guests who want to come to the show you should direct them buy tickets on-line. 5. Your home address will not be published on the web and will only be given to people who purchase tickets. 6. The shows will promoted on our websites, Facebook and Twitter and word-of-mouth. 7. We’ll need your help to spread the word on your Facebook and Twitter too. We’ll create a Facebook event for each show and make you a host of the event so you can easily invite your friends (Thank you!). Remember, please don’t post your address. The address only goes to people after they buy tickets. We need to keep the location private so random people don’t try to show up and pay at the door. 8. This show will be unplugged – You don’t need any sort of PA or sound system. If you have a stereo and can have some music playing when guest arrive that would be great! Also if you have a small stool Rocky can put some Harmonica’s on and some kind of ambient lighting like a lamp on coffee table, floor lamp, or overhead lights with a dimmer to help create a cozy mood that is much appreciated as well! 9. You don’t need seating for everyone. If you have a bunch of chairs, great! But most shows are floor seating and we let guests know they should bring a cushion, pillow or folding chair to sit on during the show. 10. There will be no opening acts on the living room shows. 11. We love dogs and cats… we really do! But an excitable pet running around during the show can be distracting for the guests and performers. If you have curious and friendly 4-legged family members, would you be ok with putting them in another part of the house or sending them to a friend’s house during the show?